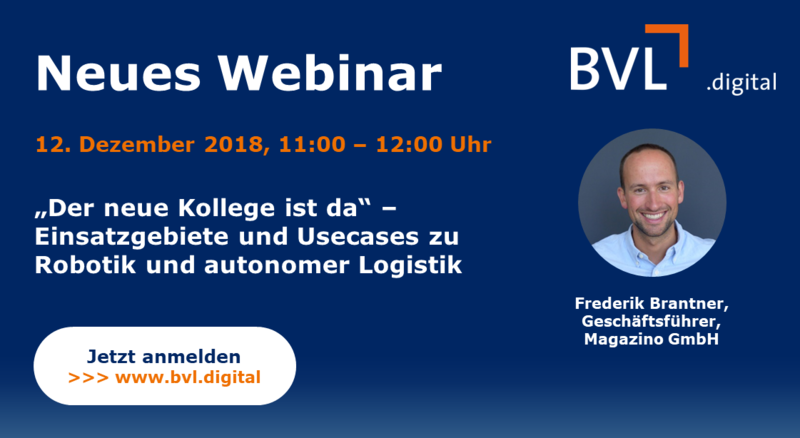 Together with the Bun­desvere­ini­gung Logis­tik we are orga­niz­ing the webi­nar “The new col­league is here” – areas of appli­ca­tion and use­cases for robot­ics and autonomous logis­tics. Robots and autonomous sys­tems are increas­ingly being used in intra- and pro­duc­tion logis­tics. 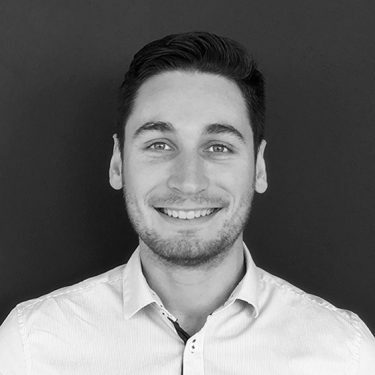 Find out about tech­nolo­gies, fields of appli­ca­tion and usescases in this webi­nar and dis­cuss the future of work with Fred­erik Brant­ner. The webi­nar takes place live and relies on the inter­ac­tion of all par­tic­i­pants. All you need to par­tic­i­pate is a cur­rent browser.